Sander Willems visited Sabkhat Al-Fasl on Friday 25 May 2012. It was a windy day, with poor visibility but a comfortable 30 degrees Celsius. He found a good bird for the Eastern Province in the shape of a White Stork. 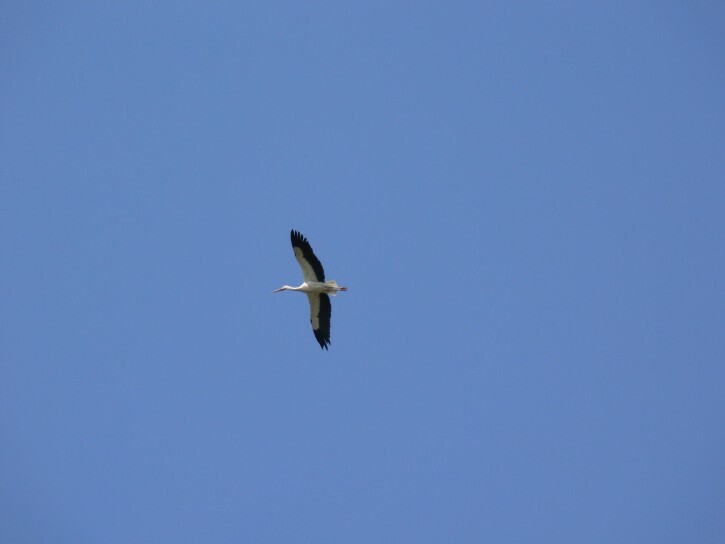 White Stork is much commoner than Black Stork in the Eastern Province but is still a scarce migrant and one I have yet to see in Saudi Arabia. The bird was seen briefly in flight and later feeding on the sabkha area by the new Power Generation buildings. Another highlight was the tern diversity, with six different species being seen at the site including 20 Common Terns which are also an uncommon but over-looked species in the Eastern Province. Sander had four new species (lifers) so had a great day.